Zesty Grilled Pork Chops - better than any restaurant!!! Pork chops marinated in soy sauce, lemon juice, chili sauce, brown sugar and garlic. A little sweet and a little tangy. Perfect! Marinate overnight and grill for the perfect dinner! 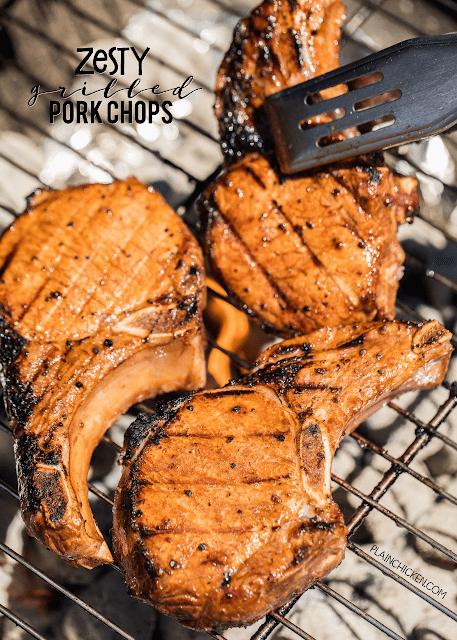 SO easy and everyone RAVES about these pork chops!! Our grill is working overtime this Summer! We seriously grill at least four times a week. Sometimes we grill for lunch and again for dinner. I am always thinking up new marinades for chicken, pork and steaks. 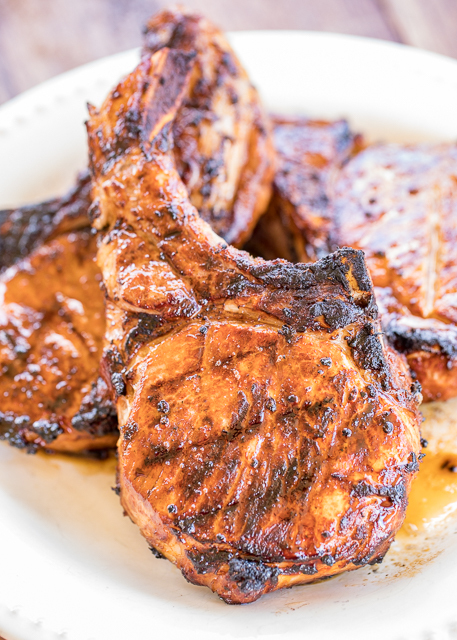 Today I am sharing some yummy Zesty Grilled Pork Chops. They are super delicious and packed full of great flavor! We both cleaned our plate! These pork chops are marinated in a mixture of soy sauce, lemon juice, chili sauce, brown sugar and garlic. I love all the ingredients on their own and they are magic when combined! We let the pork chops hang out all day in the marinade and then threw them on the grill. We used our favorite bone-in chops from the butcher chop. You can definitely use boneless pork chops or a pork tenderloin if you prefer. You will just need to adjust the cooking time. Whisk together soy sauce, lemon juice, chili sauce, brown sugar and garlic. Place pork chops in a ziplock bag. Pour marinade over pork chops. Refrigerate overnight. 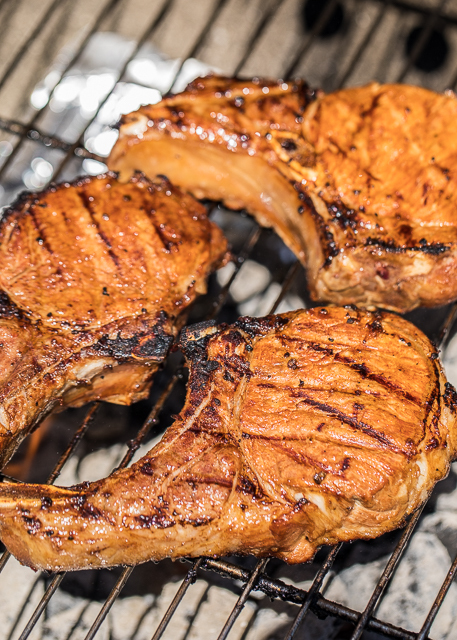 Remove pork chops from marinade and grill 6 to 8 minutes per side, until internal temperature reads 145ºF.